I’m late to the party, but I love the eyeslipsface.com mystery bag. You order $25 worth of makeup online and they send you a mystery bag worth at least $20 along with your order. It is so much fun and I’ve never been unhappy! I like TestTube for samples. Thanks for sharing the info CT Esthetic, much appreciated 🙂 have you recieved anything cool from TestTube? It’s not cheap $29.99, but you get great products even one or two full size. I liked NeoStrata® Skin Active Exfoliating Wash, Cellular Restoration and Intensive Eye Therapy. 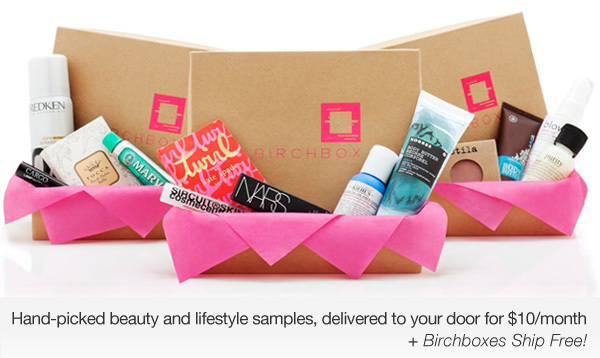 I’ve been trying to get my hands on the Birch Box, since I live in the US, but there is a waiting list for that! How ridiculous is that? But the idea is pretty appealing, I might get one in the nearest future!